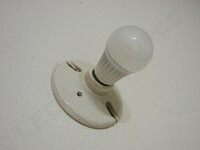 Several limitations of early replacement LED bulbs were high price, unnatural colors, and beams too narrow to be useful. 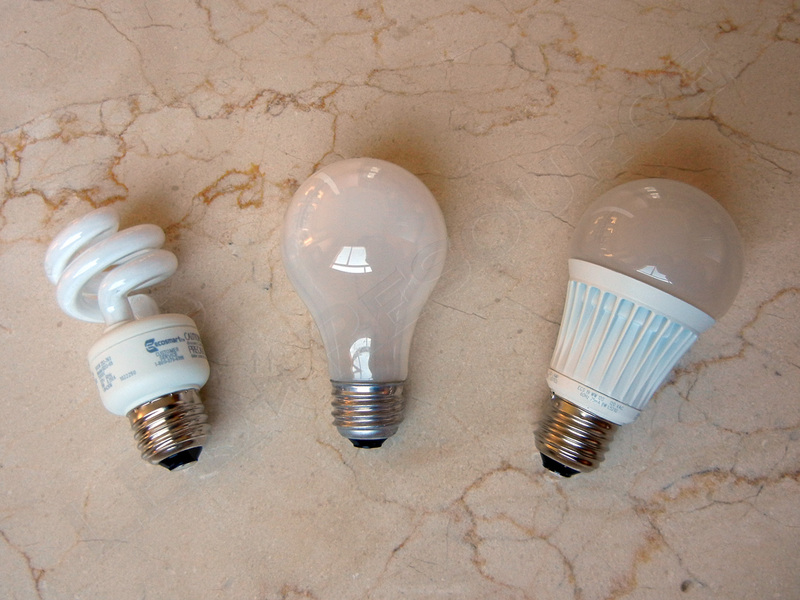 With improvements in LED technology, the days of compact fluorescent (CFL) bulbs are soon to be limited. 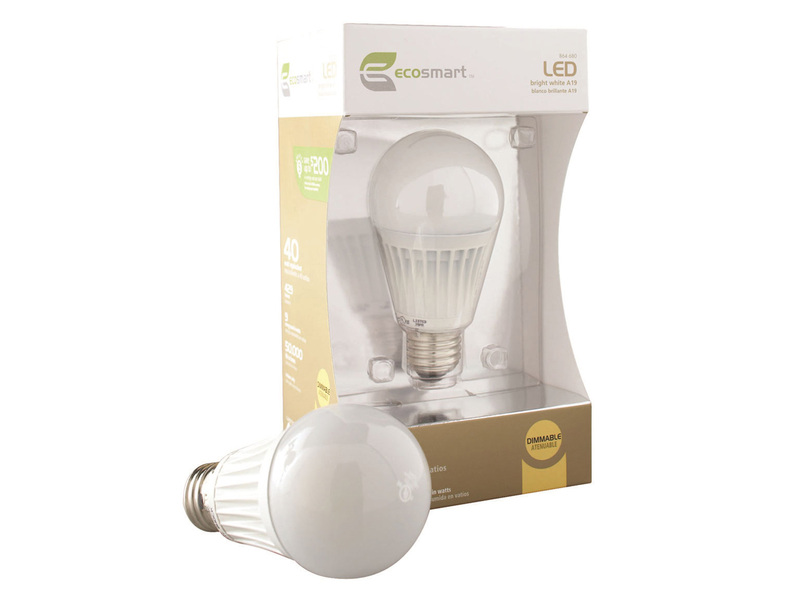 The Home Depot EcoSmart LED bulb is a capable contender, with surprising performance, good economics, and mercury-free components. 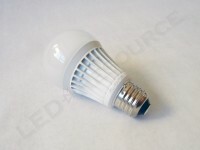 Online pricing starts at $17.97 for the 8.6W A19 bulb, to the most expensive $44.97 18W PAR38 bulb. 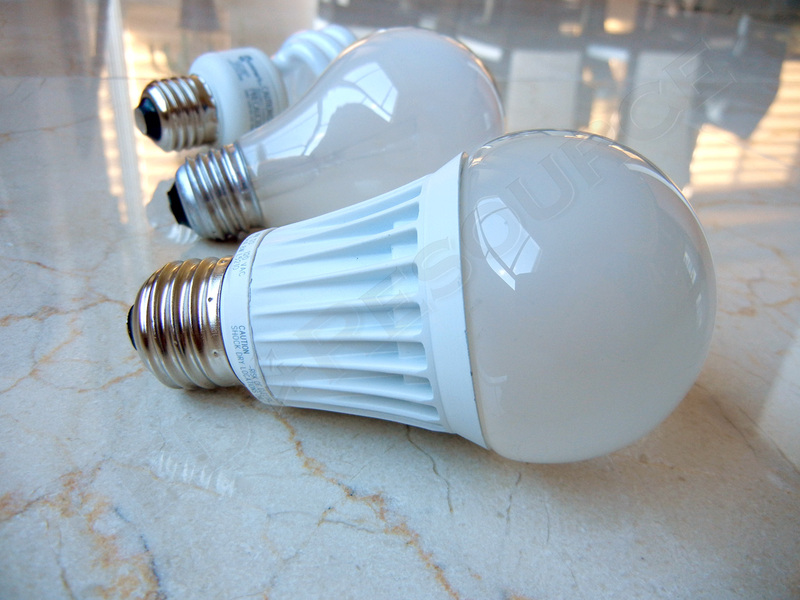 The bulbs are available at all Home Depot locations in the United States, although local prices may vary. The bulb consists of an opaque glass top and a ceramic base that dissipates heat from the driver circuit and two LEDs inside. 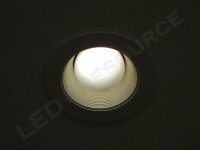 Light is spread evenly from the two LEDs because of the frosted glass, and only on very low dimming is the dual-LED pattern visible. One of the advantages of this LED bulb is that it can be dimmed, so we tested the EcoSmart LED bulb in a Lutron dimmable fixture, next to 45W and 60W incandescent bulbs. On the lowest setting, the incandescent bulbs were barely lit, while the LED bulb was much brighter. Only at about halfway up in brightness does the incandescent bulb catch up to the LED bulb. As expected, color from the LED bulb is consistent regardless of dimming, unlike incandescent bulbs, which turn orange. The LED bulb is definitely superior to incandescent when dimmed because of color consistency and higher efficiency. 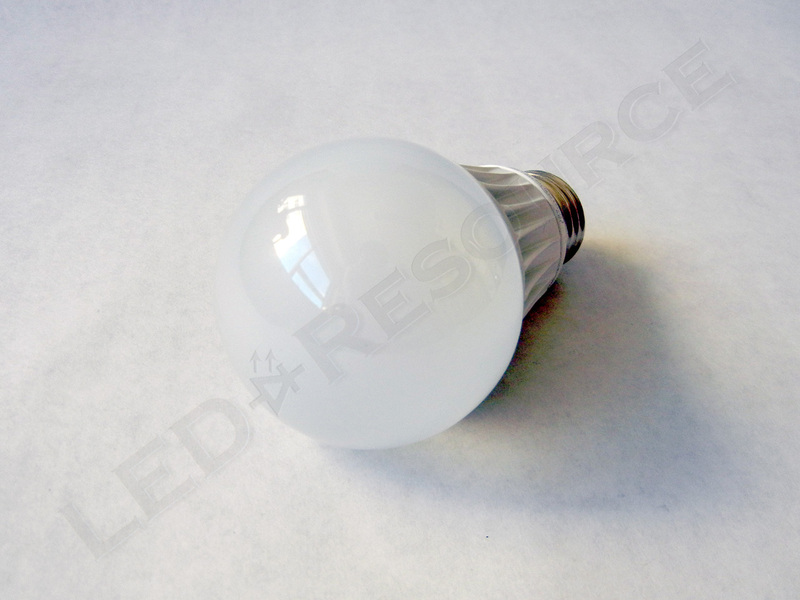 Our first test of the EcoSmart 8.6W LED bulb was with 45W incandescent bulbs in recessed lighting fixtures. The 8.6W LED bulb is designed to replace 40W bulbs, but the LED bulb was noticeably brighter than the 45W bulbs. 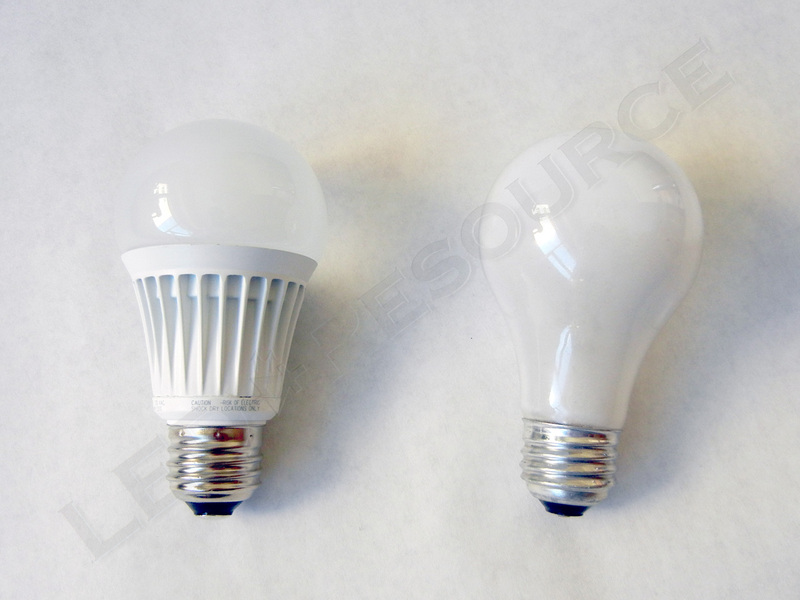 A 60W bulb was installed next to the 8.6W LED bulb, and the 60W bulb barely edged out the LED bulb. 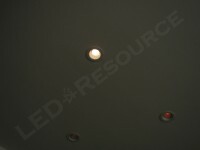 The LEDs direct light 180° forward, which closed the gap in apparent brightness during our recessed lighting test. 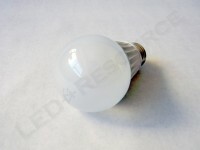 When installed as a bare bulb, the 8.6W LED bulb lives up to its claim of replacing a 40W bulb. 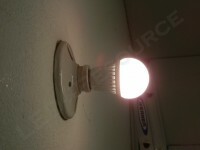 Overall light output is about the same, but there is more intensity in front of the bulb. The 60W bulb is slightly brighter than the 8.6W LED all around. The color temperature of the LED bulb is cooler than the incandescent bulbs and is closer to pure white. 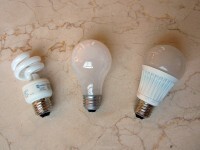 The Home Depot EcoSmart LED bulb definitely shows a lot of promise in replacing incandescent or even CFL bulbs. LED bulbs are still quite a bit more expensive than CFL’s, but the EcoSmart LED bulb is closing the price gap. If the higher initial cost can be looked over, the LED bulb will soon be paying itself off over its expected 50,000 hour life. A worthy investment for frequently used lighting fixtures.